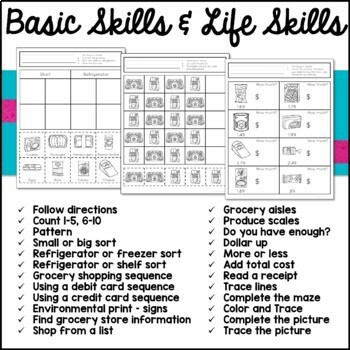 These life skills activities will give your special education students practice with basic skills they need for independence in their community. 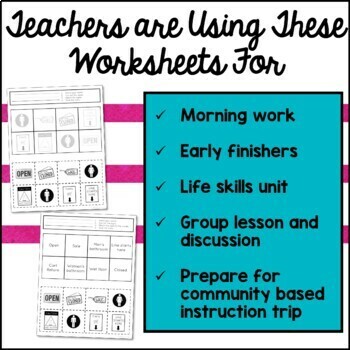 Put these no prep tasks in your independent work stations before a community trip to the grocery store to practice skills like dollar up, more or less, recognizing signs, reading a receipt, shopping from a list, finding the correct aisles, and much more. 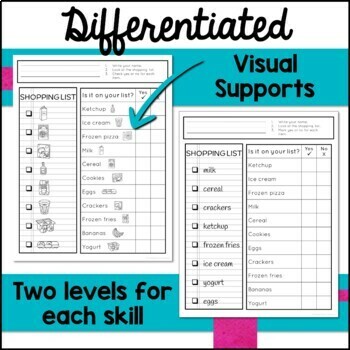 Includes 50 pages and each topic is differentiated to two levels. • Do you have enough? Please check the preview to ensure these tasks are appropriate for your students. 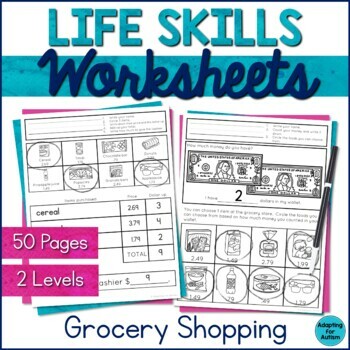 More life skills and community instruction resources you will love! Click here to follow my store and be the first to know about new product releases.